Welcome to One Small Step! This is a new Mentoring Blog series to highlight little things you can do to make a big impact. I hope to use this as a platform for Argonne employees of all roles career levels to share tips, ideas and lessons that have proven useful in establishing connections and building positive mentoring experiences. Our first post comes from Yasi Ghadar, a Postdoctoral Appointee with the Argonne Leadership Computing Facility (ALCF). As a new postdoc, Yasi wanted to meet other postdocs and talk to staff about their careers. 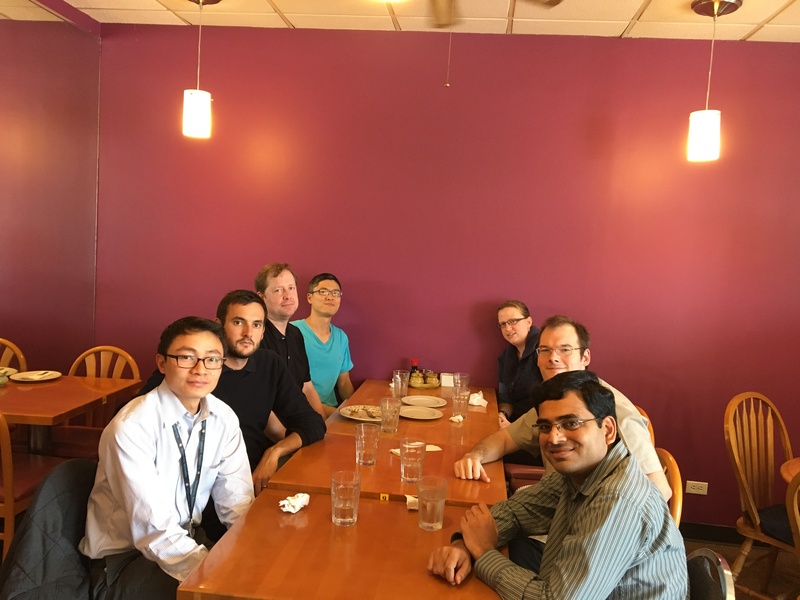 What followed was a weekly lunch meet up in which postdocs can network with each other and with Argonne staff. I am often asked about the best way to meet a mentor. The short answer is to talk to people. The reality is that it may take some time to meet people, especially if you are new. Finding ways to get together in an informal setting may lead to new connections and help build networks. In time, you may find someone whose mentorship would be valued, or who can connect you with other people who can take your mentoring relationships even further. An example of getting started in an informal setting is the weekly lunches initiated by Yasi. LCF Postdocs and Staff gather at a weekly career lunch in the 213 Cafeteria. 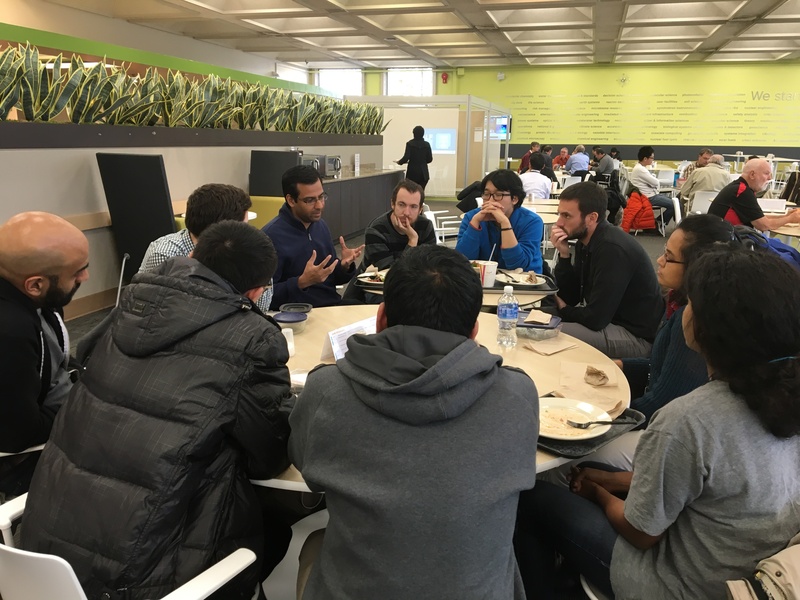 Weekly lunch meetings allow postdocs to network and learn about each other’s research and career aspirations. Thanks, Yasi, for taking one small step! Have a story to share? Email mentoring@anl.gov!